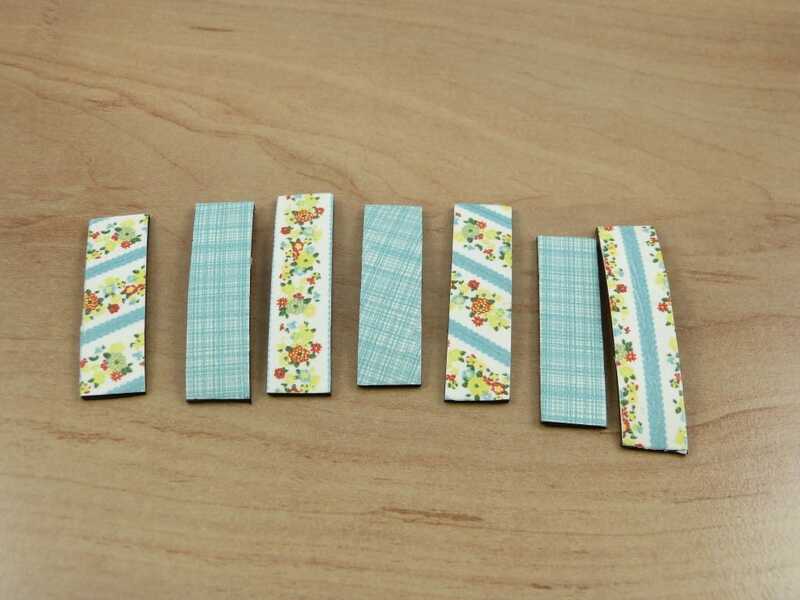 Washi tape magnets – so quick, so easy, so pretty! While we were making the washi tape peg magnets, we had a bit of a brain wave! We sell 1/2″, 1″ and 2″ wide self adhesive flexible magnetic strip by the metre and it’s great for holding things on our warehouse racking, but it’s a bit boring and brown to look at … not anymore! 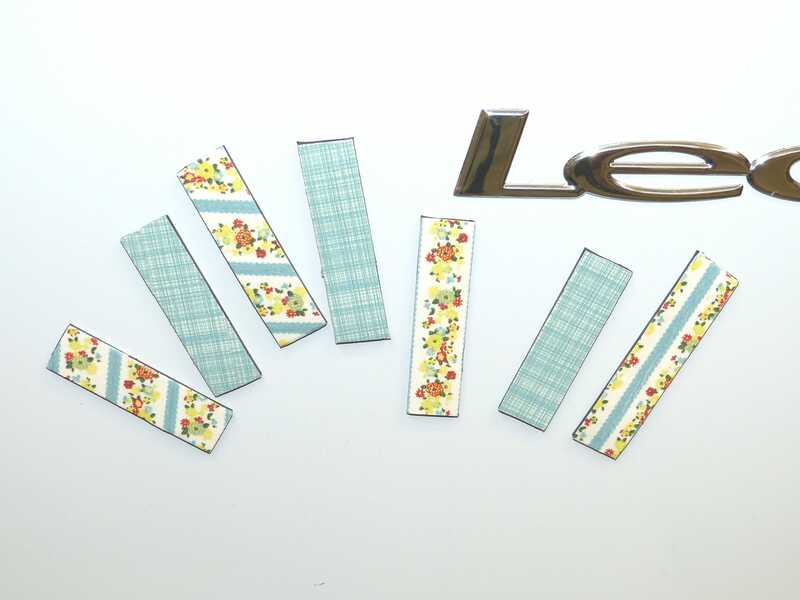 20 minutes of playing around and we had 7 very pretty washi tape strips on our office fridge. 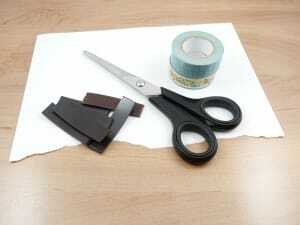 * We cut our one metre length of flexible magnetic strip into pieces about 5cm long. 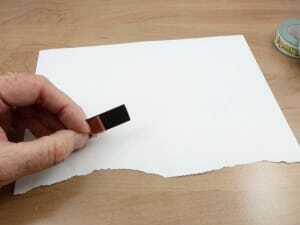 Flexible magnetic strip is black in colour although, as you can see in the picture, some of it looks brown. This is because the TESA 4965 adhesive is protected by an anti-UV pink/red plastic backing strip which makes the magnet look brown. When this is removed to expose the adhesive, the strip is black. You could put your washi tape directly onto the TESA adhesive, but this will, for most types of washi tape, show through and make the design darker. 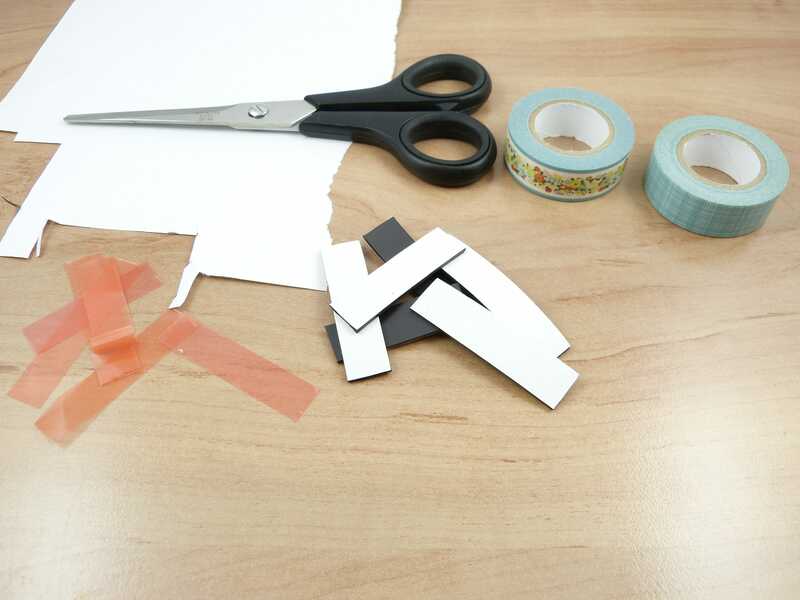 To get around this, we used the white paper and stuck the self adhesive magnet directly to the paper. 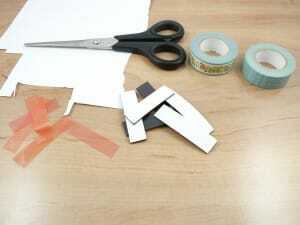 Trim around the magnet with your scissors or craft knife. 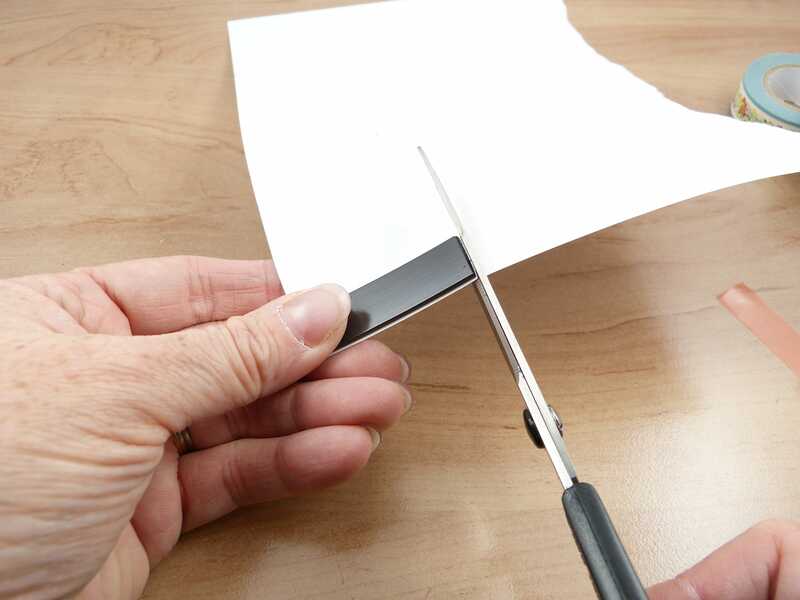 The flexible magnetic strip can be cut with scissors so you do need to be a little careful not to cut the strip itself. 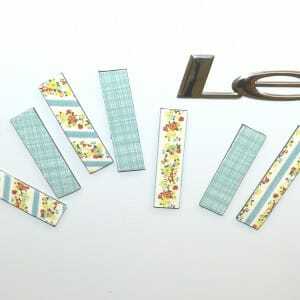 Now you’re ready to add your washi tape! Simply put it on to the white paper and trim as needed! We got very arty and used some at an angle, and then some which were joined in the middle. And that’s it! Job done and pretty flexible magnetic strips achieved. We’re going to take some home to put postcards and kids artwork on the fridge. Happy Crafting everyone!